While cPanel dominates the control panel market in VPS hosting segment, Parallels Plesk Panel is not too far behind in terms of popularity. Especially when it comes to Windows VPS hosting, Plesk is truly giving cPanel/WHM a run for its money. Keeping Plesk Panel’s increasing popularity in mind, here in this article we bring you three affordable hosting service providers which offer cheap Plesk Panel VPS hosting. MyHosting offers Plesk Panel as add-on to its VPS packages. The most affordable plan out there is the Linux Business VPS package which costs $18.95 per month including the cost of Plesk Panel license to host up to 10 different domains. This Virtuozzo Linux VPS package brings you the power of 11 vCPU cores, 1 GB RAM, 40 GB hard disk space, 600 GB monthly bandwidth and 1 dedicated IP address. In case you prefer a Windows VPS, then you need to increase your budget to $37.95 per month and grab MyHosting’s entry level Windows 2008 R2 Business VPS plan with 2 vCPU cores, 1 GB RAM, 40 GB HDD, 600 GB Bandwidth and 1 dedicated IP address. This is a Microsoft Hyper-V virtualized server. It brings you license for Windows 2008 R2 Server OS and Plesk Panel 11. It comes with inbuilt support for Microsoft IIS 8/7.5 web server, MS SQL Express 2008 R2, MySQL 5.0.4x, ASP.net, PHP 4/5, Perl v5.8.8 among many more exclusive features. 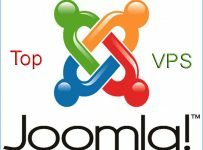 Media Temple provides Parallels Plesk Panel with its DV VPS hosting plan. With unbeatable uptime, all SSD storage, easy server management, industry leading SLA terms and instant scaling, DV is a managed VPS hosting solution that is ready to grow as your business grows. By deploying a DV virtual server, you get an up-to-date, highly stable pre-installed LAMP stack with guaranteed uptime of 99.999%. On the flip side, Media Temple does not offer any Windows VPS package with Plesk control Panel. Note that DV Virtual Servers are compatible only with Linux operating systems. Media Temple’s entry level DV managed VPS plan, inclusive of Plesk 12 license, will cost you $55 per month. It comes with 1 CPU core, 2 GB RAM, 30 GB SSD disk space and 2 TB data transfer bandwidth with the latest versions of pre-installed software/scripts, including PHP, MySQL, Perl, Python and Ruby to name a few. Besides, you will be provided with root level administrative privileges so that you can further customize your virtual server with any application, server software, or OS component based on your own requirements and preferences. 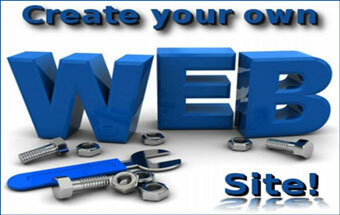 HostingSource’s cheapest VPS package (VPS I) featuring Plesk panel is priced at $22 per month. Unlike MyHosting, HostingSource offers both Linux and Windows VPS at the same price. A customer is allowed to go for any flavor of Linux/Windows server operating system with a system specification of 1 vCPU core, 1 GB RAM, 20 GB RAID-10 storage, 3 TB data transfer limit, 1 dedicated public IP address and Plesk 11 license. While MyHosting uses Virtuozzo for Linux servers and Hyper-V for Windows, HostingSource’s VPS environment (for both Linux and Windows VPS) brings you Xen virtualized servers powered by Intel Xeon series quad core processors. In terms of performance and reliability, HostingSource VPS packages are a couple of notches above compared to any other VPS service provider. To sum things up, HostingSource, Media Temple and MyHosting brings you the most affordable Plesk Panel VPS Hosting packages which are not only cheap, but also highly reliable at the same time. 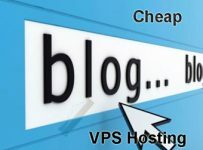 Have you come across any hosting service provider that offers such a feature rich Plesk VPS hosting package at a cheaper price?